LOS ANGELES POLICE ACADEMY REVITALIZATION ALLIANCE is committed to protecting your privacy. This Statement of Privacy applies to LOS ANGELES POLICE ACADEMY REVITALIZATION ALLIANCE Web site and governs data collection and usage at all LOS ANGELES POLICE ACADEMY REVITALIZATION ALLIANCE sites and services; it does not apply to other online or offline sites, products or services. Please read the LOS ANGELES POLICE ACADEMY REVITALIZATION ALLIANCE Statement of Privacy. LOS ANGELES POLICE ACADEMY REVITALIZATION ALLIANCE is a general audience web site, intended for users of all ages. Personal information of all users is collected, used and disclosed as described in this Statement of Privacy. LOS ANGELES POLICE ACADEMY REVITALIZATION ALLIANCE is a general audience web site, intended for users of all ages. Personal information of all users is collected, used and disclosed as described in this Statement of Privacy. As an E-commerce Web site, LOS ANGELES POLICE ACADEMY REVITALIZATION ALLIANCE collects personal information, such as your e-mail address, name, home or work address or telephone number. Information collected by LOS ANGELES POLICE ACADEMY REVITALIZATION ALLIANCE is used solely for the purpose of billing your online purchases. LOS ANGELES POLICE ACADEMY REVITALIZATION ALLIANCE does not collect any information about your computer hardware and software. LOS ANGELES POLICE ACADEMY REVITALIZATION ALLIANCE encourages you to review the privacy statements of Web sites you choose to link to from LOS ANGELES POLICE ACADEMY REVITALIZATION ALLIANCE so that you can understand how those Web sites collect, use and share your information. We are not responsible for the privacy statements or other content on Web sites outside of the LOS ANGELES POLICE ACADEMY REVITALIZATION ALLIANCE Web site. LOS ANGELES POLICE ACADEMY REVITALIZATION ALLIANCE and its operational service partners collect and use your personal information to process product orders and deliver the products requested. It is possible that LOS ANGELES POLICE ACADEMY REVITALIZATION ALLIANCE may also use personal information to inform you of other products or services available from LOS ANGELES POLICE ACADEMY REVITALIZATION ALLIANCE and its affiliates. LOS ANGELES POLICE ACADEMY REVITALIZATION ALLIANCE may also contact you via surveys to conduct research about your opinion of current services or of potential new services that may be offered. LOS ANGELES POLICE ACADEMY REVITALIZATION ALLIANCE does not sell, rent or lease its customer lists to third parties. LOS ANGELES POLICE ACADEMY REVITALIZATION ALLIANCE may, from time to time, contact you on behalf of external business partners about a particular offering that may be of interest to you. In those cases, your personal information (e-mail, name, address, telephone number) is not transferred to the third party. LOS ANGELES POLICE ACADEMY REVITALIZATION ALLIANCE does not use or disclose sensitive personal information, such as race, religion, or political affiliations, without your explicit consent. LOS ANGELES POLICE ACADEMY REVITALIZATION ALLIANCE may access and/or disclose your personal information if required to do so by law or in the good faith belief that such action is necessary to: (a) conform to the edicts of the law or comply with legal process served on LOS ANGELES POLICE ACADEMY REVITALIZATION ALLIANCE or the site; (b) protect and defend the rights or property of LOS ANGELES POLICE ACADEMY REVITALIZATION ALLIANCE , including its Web site; or (c) act under exigent circumstances to protect the personal safety of users of LOS ANGELES POLICE ACADEMY REVITALIZATION ALLIANCE or the public. Personal information collected on this site may be stored and processed in the United States or any other country in which LOS ANGELES POLICE ACADEMY REVITALIZATION ALLIANCE or its affiliates, subsidiaries or agents maintain facilities, and by using this site, you consent to any such transfer of information outside of your country. LOS ANGELES POLICE ACADEMY REVITALIZATION ALLIANCE abides by the safe harbor framework as set forth by the U.S. Department of Commerce regarding the collection, use, and retention of data from the European Union. LOS ANGELES POLICE ACADEMY REVITALIZATION ALLIANCE offers its customers choices for the collection, use and sharing of personal information. You may notify us of your preferences by emailing rcrane@lapraac.com. Please be sure to provide complete account information so we can identify you in our records. LOS ANGELES POLICE ACADEMY REVITALIZATION ALLIANCE is committed to protecting the security of your personal information. We use a variety of security technologies and procedures to help protect your personal information from unauthorized access, use, or disclosure. For example, we store the personal information you provide on computer systems with limited access, that are located in controlled facilities. When we transmit highly confidential information (such as a credit card number) over the Internet, we protect it through Mercury Payment Service. LOS ANGELES POLICE ACADEMY REVITALIZATION ALLIANCE will occasionally update this Statement of Privacy to reflect company and customer feedback. If there are material changes to this Statement or in how LOS ANGELES POLICE ACADEMY REVITALIZATION ALLIANCE will use your personal information, LOS ANGELES POLICE ACADEMY REVITALIZATION ALLIANCE will prominently post such changes prior to implementing the change. 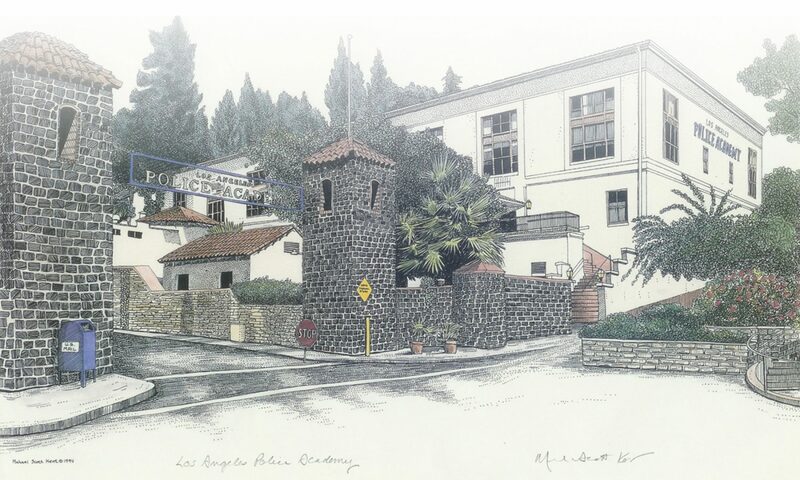 LOS ANGELES POLICE ACADEMY REVITALIZATION ALLIANCE encourages you to periodically review this Statement to be informed of how LOS ANGELES POLICE ACADEMY REVITALIZATION ALLIANCE is protecting your information.